From the big-bang enlargement in 2004 onward, on the chair of the EU Council presidency sat various problematic states - with illiberal views (Hungary), countries in a de facto default (Cyprus, Greece), eurosceptics. 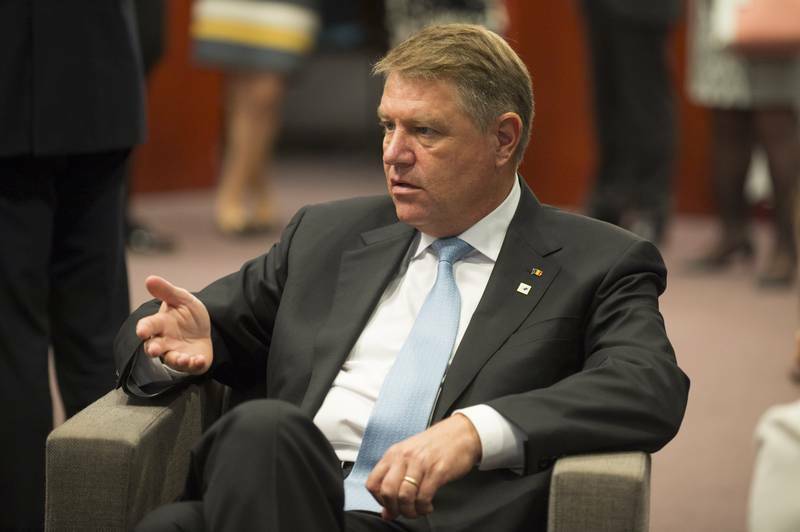 However, it would be the first time that the presidency will be taken over by a country which was accepted in the EU without having established rule of law and which has failed to do it for an entire decade, despite all the efforts of individual member states and the European Commission under the special monitoring mechanism which the country was accepted in the EU with. And despite all the EU funds spent on judicial reform and the fight against corruption and organised crime. On 1 January 2018, when Bulgaria will take over the presidency, it will be 11 years since the creation of the Cooperation and Verification Mechanism (CVM), the purpose of which was to guide Bulgaria and Romania toward completing the establishment of an independent judiciary and the fight against corruption and organised crime. 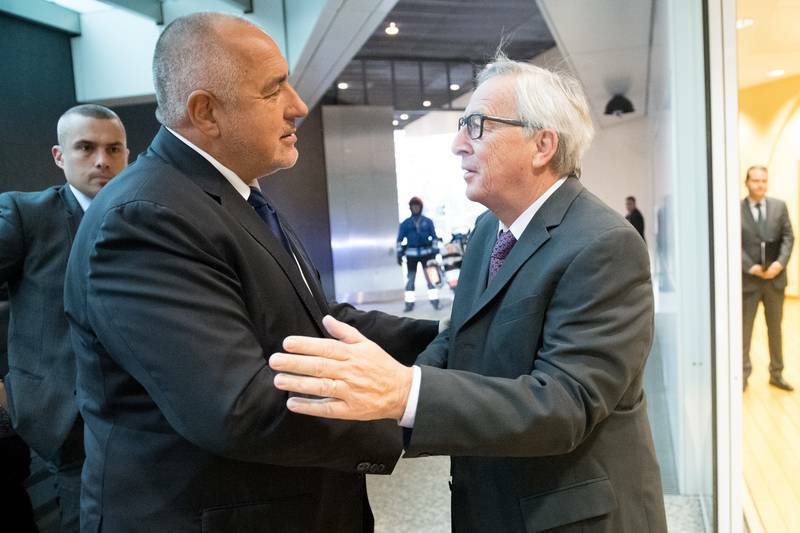 In an attempt to save Bulgaria from the shame to preside the Council in such a condition, especially at a time when the erosion of the rule of law is spreading like a disease throughout the EU, the European Commission, in the spirit of its politicalness, made two manoeuvres. The first was to pull the publication of 2017 CVM report earlier by two months in order to avoid this to happen during the presidency. The second was to put 17 conditions in its January report promising that if they are met this will ensure the closure of the CVM right before the beginning of the presidency. Alas, Bulgaria did not take the hand offered. 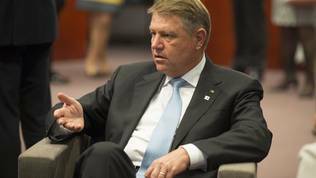 In the report, which the Commission published on 15 November, very thin attempts can be spotted to save the honour of the government, because it is the ministers who will be under the spotlight in Brussels during the presidency, by transferring the responsibility for the decade-long Bulgarian failure onto parliament. The lack of reforms is explained with "political instability" (because of the snap elections). - Implement a strategy to fight organised crime, focusing on serious crime, money laundering as well as on the systematic confiscation of assets of criminals. Report on new and ongoing investigations, indictments and convictions in these areas. In order to help Bulgaria close the six benchmarks, in January, the EC made 17 recommendations. Three of them are aimed at benchmark 1, where the Commission has registered "significant progress" but points out that some elements of the implementation of the second and the third recommendation are still not solved and require additional monitoring in the coming months. These two recommendations are related to making a list of transparent merit-based appointments at the highest judicial posts, and improving the practical functioning of the inspectorate of the Supreme Judicial Council, follow-up by the SJC on the basis of inspectorate revelations, especially when it comes to integrity issues. Regarding the second benchmark, there is one recommendation which is to adopt amendments to the Criminal Procedure Code and the Criminal Code to improve the legal framework for prosecution of high-level corruption and serious organised crime. According to the Commission, specific actions have been undertaken to implement the recommendation but it is pointed out that what matters is results. The entire report contains a lot of criticism that the adoption of legislative amendments very often is done without prior and broad consultations, and that quality is bad. On the third benchmark the EC made in January four recommendations - report on the implementation of the national strategy for judicial reform, establish a mechanism for regular public reporting of progress, solving the issue with workload of the busiest courts, draw a plan to implement the recommendations of the reports of external experts. The EC's assessment is that work has only begun. The recommendations on the fourth benchmark are four - adopting a new legal framework for the fight against corruption, create an efficient anti-corruption body, adopt a new law on public administration with the aim to strengthen internal inspectorates, create a reporting mechanism of progress on high level corruption cases, including the chief prosecutor's office to report on ongoing investigations and convictions, respecting the presumption of innocence,. According to the EC, several important initiatives have not yet been adopted, whereas others are in a very initial stage of implementation, and specific actions have not yet been determined. On the fifth benchmark the recommendations are three - carry out an external review of the ex-ante checks of public procurement procedures, create a mechanism for public reporting of the implementation of the national anti-corruption strategy. Here, too, results are in the future tense. The EC writes that the necessary actions should be undertaken in 2018, but there is no doubt the Commission is not certain whether this will happen. Two are the recommendations under the sixth benchmark on organised crime - to adopt amendments of the law on confiscation of illegal assets and to ensure that the illegal asset forfeiture commission will continue to work independently and efficiently, create a mechanism on public reporting on big cases on organised crime. The Commission assessment makes it clear it is suspicious regarding the real objectives behind the actions undertaken by Bulgaria so far because it says that the Bulgarian authorities "should ensure that the recent decisions on organisational and legal changes are carried out in such a manner as to consolidate the progress achieved". The November report shows that Bulgaria still is stuck at the starting position. Just like almost 11 years ago, it is still in the initial phase of legal amendments (amendments of previous amendments which amended earlier amendments which, for their part, amended the initial amendments). It also suggests that the Commission no longer hides its suspicion in the legislative capabilities of Bulgaria, hence the conclusion that if there is determination Bulgaria should be able to implement the recommendations in the near future. 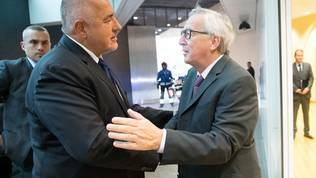 The reaction of the Bulgarian authorities shows, however, that it is unlikely to expect a change of approach even in the next decade. This means that the Bulgarian taxpayers, companies and foreign investors will never know what rule of law actually means. Therefore, prosperity will remain an unreachable dream as the rule of law itself. It remains to be seen how the presidency of the a country which does not know what rule of law means will affect the EU for which the rule of law is a basis. Some analysts believe that the Bulgarian report is positive. They even called it "the most positively written negative report", after the words of the Bulgarian political scientist Daniel Smilov. It is hard, however, to assess something that does not exist. The Commission is forced to scrutinise through a spying glass the Bulgarian legislative activities to be able to find something that resembles a reform. The Romanian case, though, is much more serious because in the past years Romania has gone quite far by come just a step away from establishing rule of law. Moreover, the Commission wrote in its January report, with which it analysed the first decade of the CVM, that "Romania had made major progress towards CVM benchmarks". "The report confirmed that the Romanian judicial system had profoundly reformed itself and that the judiciary had repeatedly demonstrated its professionalism, independence and accountability", the November edition claims. The independence of the judiciary is a fact but the political elite cannot accept it and is constantly trying to undermine it. The situation has significantly deteriorated after the change of government a year ago. Its main task seems to be to turn back the time. The EC reports that under the current government the tension is growing between state institutions - parliament, government and the judiciary. The biggest problem for the rule of law in Romania is that the parliament refuses to respect decisions of the conflict of the bodies responsible for conflict of interest, integrity and corruption, including by rejecting requests for lifting the immunity of prosecuted MPs. In a series of reports, the Commission insisted on sanctions for MPs for whom there is information of conflict of interest. Media attacks also continue against the judiciary or individual magistrates. Under Commission pressure, the parliament adopted a code of conduct which includes a broad definition of respect of separation of powers. The parliament, however, did not take into account the EC's demand to include a specific respect for the independence of the judiciary. The Commission now expects the government, too, to adopt such a code and to implement it. Just like with Bulgaria, in Romania too the EC sees problems with transparency and predictability of the legislative process, in addition to the Romanian attempts to mitigate the anti-corruption and conflict of interest laws. The overall assessment of the Commission for Romania is that, although progress has been achieved on some recommendations, in 2017 the reforms momentum has been lost. The Commission also sees a risk of re-opening issues which were reported as solved in previous reports. The constant questioning of the independence of the judiciary is something which is worrying the Commission a lot. 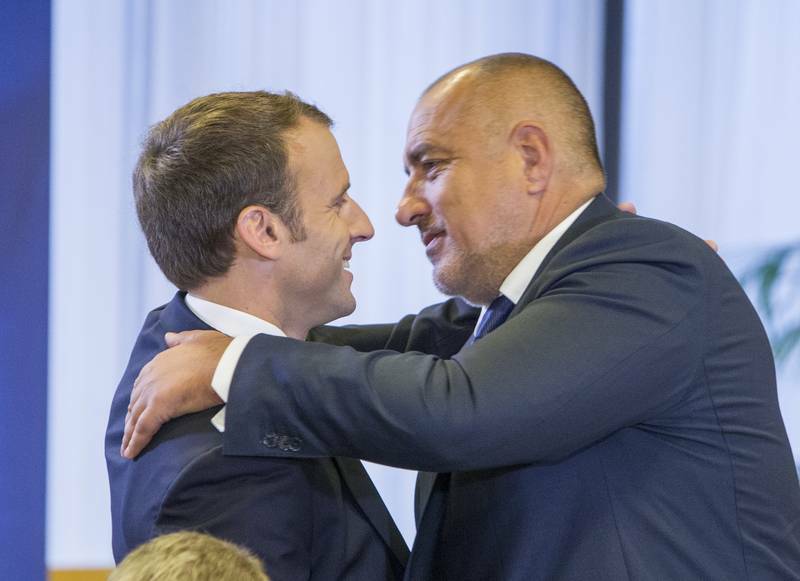 The latest reports were published at a time when the conflict between the Commission and the Polish government entered a decisive phase, and, in the meantime, problems emerged in Malta too after the killing of investigative journalist Daphne Caruana Galizia. On this occasion, two debates were held in the European Parliament , and on the Polish issues the debates were more. The Bulgarian presidency seems a good opportunity MEPs to again raise the issue with the lack of rule of law in Bulgaria and Romania, especially in view of the Bulgarian presidency's priority to help accelerate the European integration of the Western Balkan countries. And this is directly related to their efforts to enforce rule of law. This will probably strengthen the cards in the MEPs' hands to renew their demand the common European rule of law mechanism to be further enhanced. This will be a crucial message for the candidate countries that in the EU disrespect for the rule of law is not tolerated. European Commission Presidency Jean-Claude Juncker (Luxembourg, EPP) mentioned the rule of law explicitly in his state of the Union address this year, emphasising that this is a major European value. Justice Commissioner Vera Jourova (The Czech Republic, ALDE) said multiple times that she is considering establishing a link between problems with the rule of law and EU funds. The culmination of the growing intolerance in the EU toward countries who disrespect the rule of law was during the speech of European Council President Donald Tusk (Poland, EPP) in the European Parliament on October 24, when he urged all member states to make their civilisational choice. "I would like to remind all those in power, all the member states, that by signing the treaty, you have also signed this article. So either you respect it, or you clearly say you reject it, with all the consequences of this fact", he said in front of the MEPs.